Special: buy 10 pet waste removal visits and receive 1 free. A $20 savings. Animal Waste Cleanups are conveniently performed at your home and building on Thursdays typically so that you are all ready to use the yard if need be on the weekend. 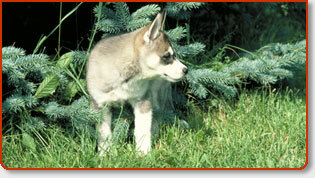 The company offers regular cleaning visits for both dogs as well as your feline friends. Please see website for detailed price matrix. If you also desire, applications of odor control as well as disinfectants can be treated at your home for extra fees. Pet waste can be a carrier of many different types of parasites and general diseases. To that end, this company's routine services performed will mitigate that concern for both your family and pets alike in Rapid City , South Dakota. Call them today at (605) 415-4123.
ou certainly love your pets. But there is one chore even the most caring and dedicated pet owners wish they could avoid. Let POO-PATROL stop all the bickering between family members about whose turn it is to cleanup after the dog. Our service will insure you and your family have a clean, healthy yard to enjoy all season long. Animal feces carries bacteria that can cause diseases in humans, especially children and is one of the most common sources of Parvovirus, Whipworm, Hookworm, Roundworm, Giardia and Coccidia in Animals. The best way to prevent pet waste diseases and the bacterial infections dogs can acquire from stools, is to remove feces at least once a week. • There are no contracts to sign. • Dependable, thorough and friendly service. Are you a dog owner? If you own a dog, then you know dog poop happens. I’m sure you would agree that picking up after your dog has got to be the worst aspect of dog ownership. I should know, I’ve owned several beautiful dogs over the last thirty three years. I’d like to suggest one of the best *services* you could possibly give yourself as a dog owner. Not to mention the obvious benefits that your dog’s and children’s play areas would receive. It’s simple. Hire a South Dakota pooper scooper service and let the professionals take care of all your home’s pet waste removal. No, I am not kidding you. As a dog owner, you know how frustrating it can be to come home after a long week at the office and have your weekend backyard romp with the kids and dogs rudely interrupted by some hidden “canine calling cards.” That’s dog poop for you feline afecianados. “When shoe meets pooh.” Sounds like this years “feel good movie” of the summer. Describing stepping in dog feces at your own home while trying to enjoy a pool party or afternoon barbecue as “uneventful”, would be a slight understatement. I strongly believe that the word “unnecessary” is more fitting now that we have the services of professional pooper scooper companies offering this long overdue service around the country. 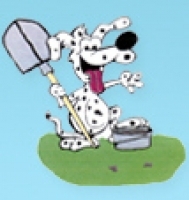 Where only a short time ago you simply couldn’t find anyone to contract to take care of your home’s dog poop weekly pile up, the country now has a few hundred pooper scoopers loosely blanketing the country.